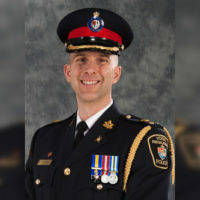 York Regional Police brought home the bacon on Monday. Sorry, we had to! 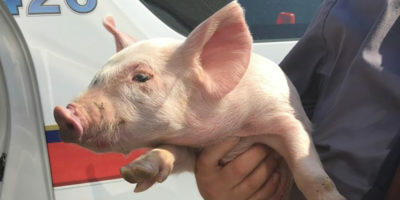 On Monday, they tweeted out a photo of an officer holding an adorable little piglet that they found wandering down the 400 near the 407 in Vaughan on Friday morning. According to them, the photo was ‘too cute not to share‘, and so it was worth the inevitable cop/pig jokes.